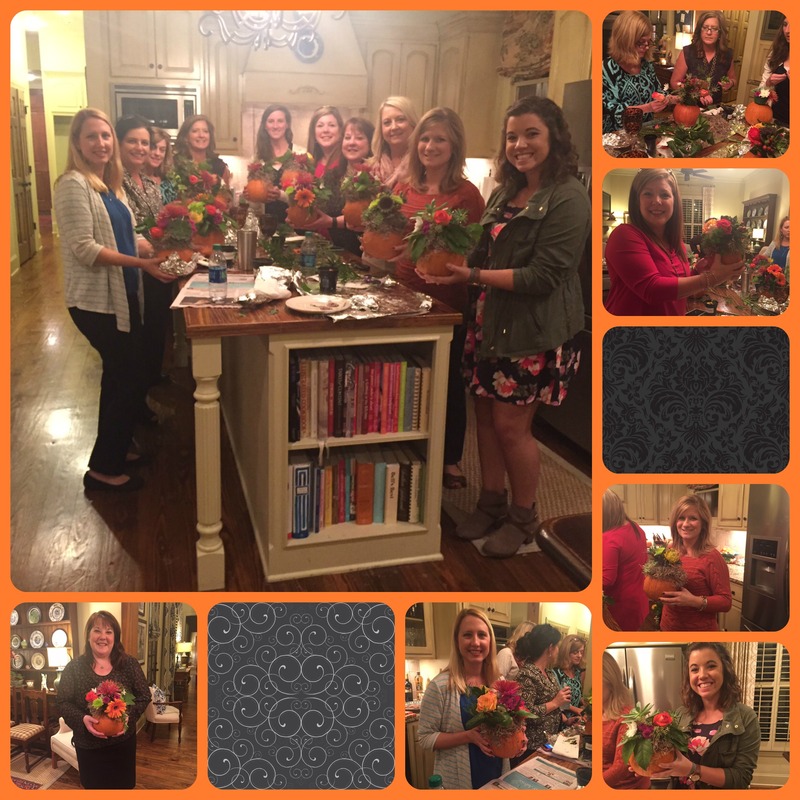 Pumpkin Party – Gina Diamond's Flower Co.
October 16, 2015, posted by Gina – Last week I had the pleasure of hosting a floral presentation at my home for Pi Phi alumnae. These ladies were a whole lot of fun and I enjoyed my time with them. First things first, I had prepared a few hors d’oeuvres which I set out on my patio so we could all have a chance to visit. After a while, we went back inside and installed ourselves in the kitchen where we got down to the work at hand: pumpkin floral arrangements. 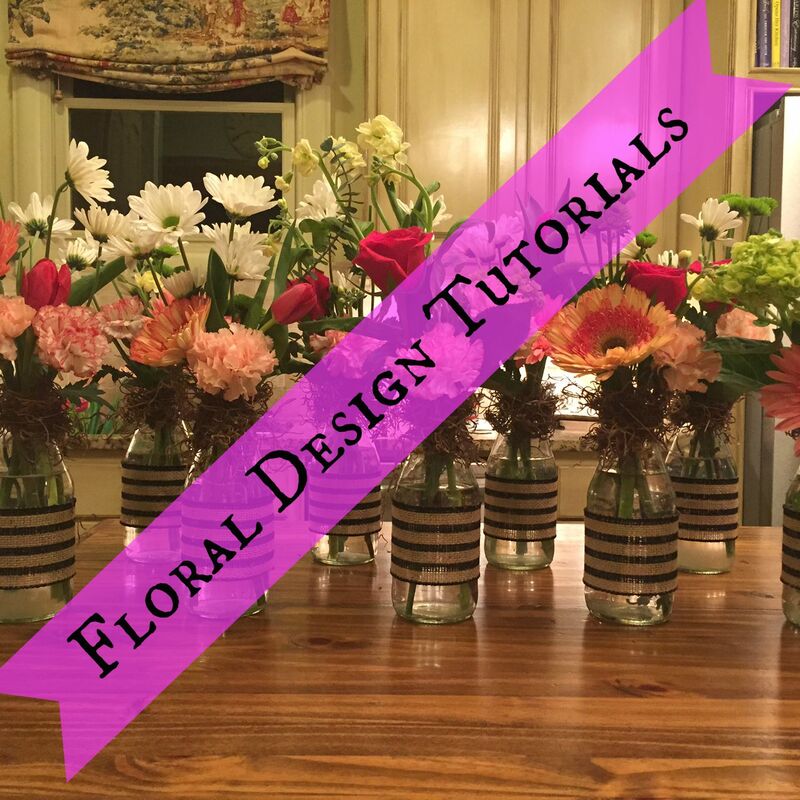 The ladies had the opportunity to compose their own floral designs after the presentation. They worked on a succulent pumpkin and I think they each did a great job. 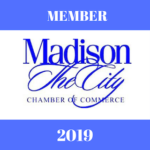 The best thing about this group is that they paid close attention to the presentation and asked questions. So when it came time to make their own pumpkins, they were well prepared and ready to unleash their creativity. Thanks Pi Phi’s and I hope to see you again soon! Happy Fall.